During 11-14 November, three lava flows were emitted from Fuego. On the 14th, two of the lava flows traveled from the S edge of the central crater 150 m toward the Ceniza ravine, and 400 m toward the Taniluyá ravine, and the third traveled 600 m W toward the Santa Teresa ravine. Avalanches of volcanic material spalled from the fronts of the lava flows.  Weak strombolian activity at Fuego volcano is continuing. Typical explosions, often accompanied by shock waves, are occuring at intervals of 2-15 minutes, creating ash plumes rising 100-200 m above the crater. Two lava flows continue to descend slowly towards the Taniluya and Cenizas canyons over some 100s of meters on the south-east flank of the summit cone. A relatively stronger, but still small explosive eruption occurred at Fuego on 17 July during 1715-1945 local time, producing an ash plume that rose 3.5-4 km above the volcano's crater (or 23,800-25,500 ft a.s.l.). The eruption was accompanied by small pyroclastic flows that traveled SW down Santa Teresa and Taniluyá ravines. Fuego remains in constant activity. Jet-engine like sounds accompany minor gas and small ash emissions from the crater, while a blocky lava flow extends for about 500 m from the crater down the flank of the summit cone. A new lava flow of about 150 m length towards the valley of Taniluya river in the S of the volcano was observed this evening while the active flow front down at the W side of the volcano remains at about 1 km distance. In the main crater, stronbolian activity continues. 8 out of 16 observed explosions, accompanied by "locomotive"-like noise, were seen to eject incandescent lava fragments out of the crater, to heights of less than 25m above the central crater rim. A constant, jet-engine like sound was also noted from the crater. Ash and steam plumes from the explosions reached up to about 700m height. During 17-20 May, lava flows continued to travel down Fuego's flanks, extending ~400 m W and ~500 m SW of the summit. Short avalanches originated from the lava-flow fronts. Also, explosions sent ash and incandescent volcanic material to low altitudes.